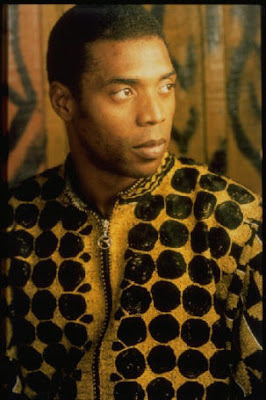 Afrobeat King, Femi Kuti clocked 46years old some weeks back, but inspite of how blessed he has been, he still regrets that he's not the father of two of his five children. He revealed this few days to his birthday in an interview. Out of his alleged five children, two of them, a boy and a girl, have been discovered not to be his biological children, according to a recent DNA test. He confessed being disappointed and pained that a woman can actually give someone what does not belong to him. 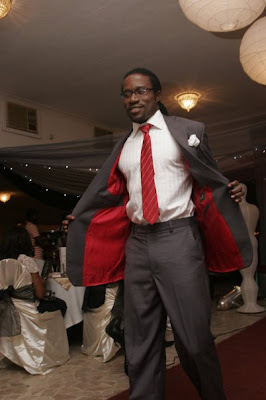 Femi "I did a DNA test and was told two of the children are not mine. It is very serious. I never knew somebody could give you what is not yours. I have three boys now. I can't father children I was tricked to believe I am their father." Because of the betrayal, he returned the two children to their mothers. 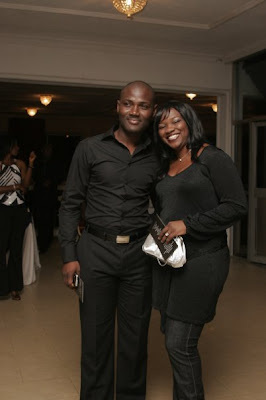 Delectable star actress, Stephanie Okereke and her estranged footballer husband, Chikelue Iloenyosi, are now in court for the formal dissolution of their marriage. 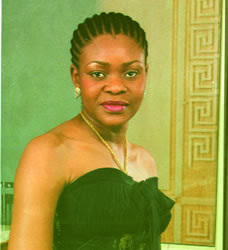 The union contracted on Aug 31, 2004 in Lagos, and went kaput on Jan 14th 2007, due to what she summed up as infidelity, trechery and bigamy on the part of Iloenyosi. 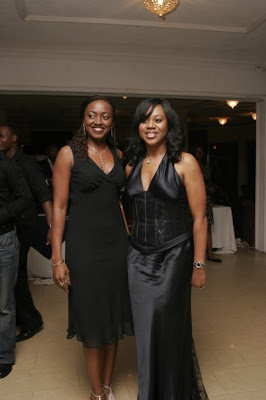 Accusing her ex-husband of being married to one Ijeoma Mba at the time they were supposed to be a couple. Okereke in her divorce petition now before a Lagos High Court is asking the court to award her N100million as recompense for the trauma she was subjected to the former Super Eagles player while they were married. She also wants him to return her Mercedes Benz car CLR 500 valued at N3.5mil, a Volkswagen Passet 2.0 valued at N3.5m, a N150, 000 laptop as well as household items estimated at N600, 000, and another N4.3mil allegedly collected from her fraudulently. Iloenyosi, in his response, denied all these. This is authoritative. 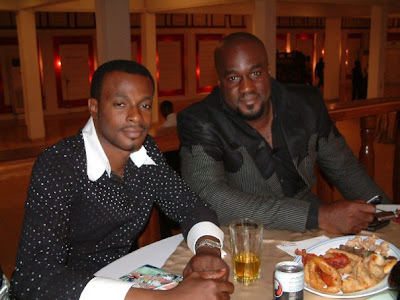 The marriage of popular fashion designer Deola Sagoe to her Ghanaian husband, Koffi Sagoe, has crumbled. Insiders who should know attributed the cause of the failed marriage to irreconcilable differences among other things. 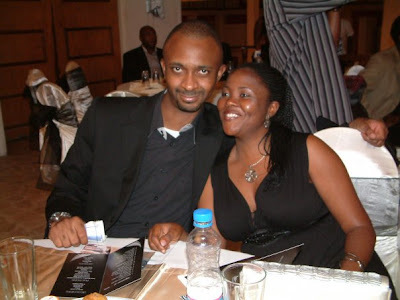 Sources again confirmed to Encomium Weekly that a silent war over the custody of the children of the once-upon-a-time happy marriage is now on between the estranged couple. 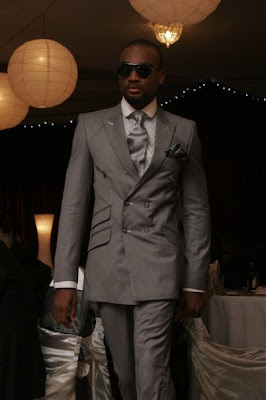 We called the abundantly gifted designer on Sat. 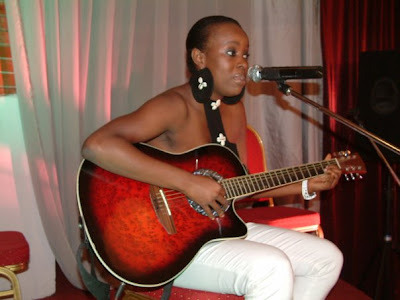 June 28th 2008, and she confirmed that indeed her marriage has packed up. "Yes, it is true, she told us and hung up". 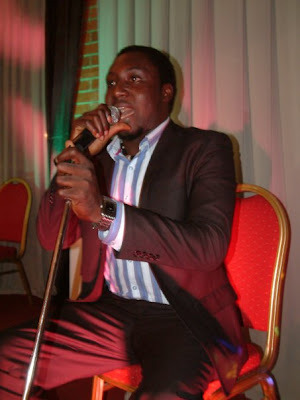 Star Comedian, Bright Okpocha, has just been endorsed by Globacom to the tune of N80million. The people who are in the know regarding this deal swear that it has been signed sealed and delivered. He will do TV adverts and his face will be on the print adverts. 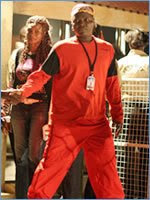 On Thursday June 19th, maverick entertainer Charles Oputa a.k.a Charly Boy, was 55 years old. And he marked it in a special way with the release of his second album, his second book entitled The Different Colours of Charly Boy and the unveiling of his youth centre. The event will kick off in Abuja on July 11th and move to Lagos on July 13th, Washington DC is billed for Aug 1 and London Oct 14th. The concept behind this year's event is to highlight and focus sustainable solutions on the problems of Africa through massive investment in infrastructure and micro-finance in order to rebuild Africa from the ground up. It's the newest addition to the SLEEK Media family and a sibbling to SLEEK magazine, the flagship international fashion, luxury and lifestyle magazine produced in Nigeria for the rest of Africa. SLEEK IN-design is an interior design magazine that showcases the best of art, architecture, interior design and lifestyle in today's progressive Nigerian society. 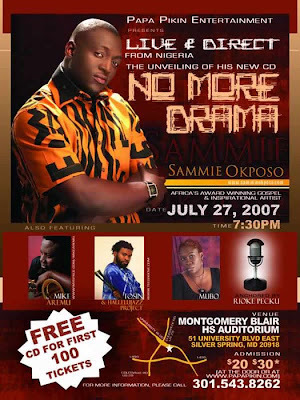 Out Of Africa with Sammie Okposo and friends. 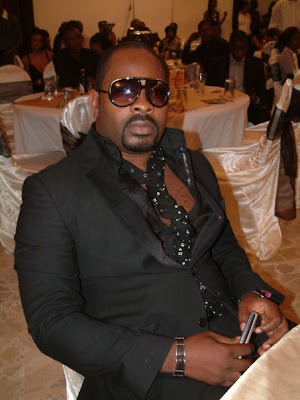 Featuring RMD, Stella Damasus, Segun Arinze, Ali Baba, Tee A, Mike Aremu, Kefee, Infinity, Dekunle Fuji, Gordons, Jedi, Samsung, Modele, G-Force. 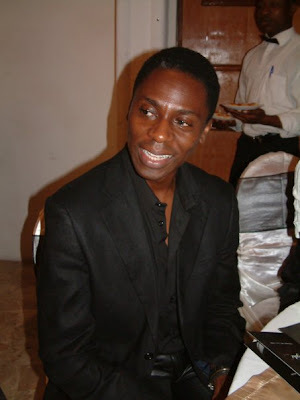 Well, this guy needs no introduction, if you're very familiar with the entertainment industry in Nigeria. 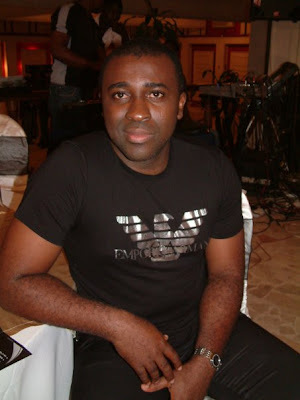 He's one of the most respected entertainment journalist in Nigeria. Blogsville is getting more interesting eh? Please be informed that NAFDAC has just discovered killer beans in the Nigerian markets. Some farmers, in their bid to preserve beans accidentally added more pesticide than normal and this killer beans has found its way into the markets. YOU ARE PLEASE ADVISED TO STAY AWAY FROM BUYING BEANS IN THE MEANTIME UNTIL THIS KILLER BEANS IS EFFECTIVELY WITHDRAWN FROM THE MARKET. OR IF YOU MUST EAT BEANS FOR NOW, YOU'RE REQUIRED TO PER-BOIL IT, WASH THOROUGHLY AND COOK EXTENSIVELY OVER A PERIOD OF TIME BEFORE EATING. FOLLOWING reports of death arising from the consumption of beans, the National Agency for Drug and Food, Administration and Control (NAFDAC), has embarked on workshops to enlighten farmers, grain merchants and the general public regarding the development. Over 120 students of Government Girls Secondary School, Doma in Gombe State were hospitalized after eating a meal of beans . In Calabar, Cross River State, reports also has it that112 people were also hospitalized and two children confirmed dead in Bekwarra Council, of the state after eating beans. In Calabar, Cross River State, reports also has it that 112 people were also hospitalized and two children confirmed dead in Bekwarra Council, of the state after eating beans. Only on Sunday, about 10 persons died and 20 hospitalized after eating gbegiri soup (beans delicacy) at a burial ceremony in Ede, Osogbo, Osun State. The Director General, NAFDAC, Prof. Dorothy Akunyili, said the offensive beans found in Cross River State came from Taraba State and not Benue State as initially claimed. "The moi-moi and beans from the homes of victims and open market in Benue and Taraba States were collected for laboratory analysis. It revealed outrageously high levels of organophosphates, carbamates, fenithrothin and chloropyrifes which are highly toxic pesticides. They must have used them in either higher doses than recommended or applied wrongly." According to the DG, the samples of uncooked beans, palm oil, onions, maggi, and other condiments used in cooking the beans, as in the case of victims, were tested, and their results proved the presence of lindane, popularly known as gammallin which affects the nervous system. "Lindane, called gammallin is an organochlorinated pesticide banned under the 1989 Rotterdam convention," she said. Akunyili noted that results of the samples included endosulphan, which is also a highly restricted pesticide under the convention. The agency has embarked on routine workshops to enlightenand re-train farmers, grain merchants and the public on the use of agrochemicals (pesticides). The workshops have kicked off in Gombe and Cross River States. The agency said that food poisoning arising from the consumption of beans had become a serious health hazard which must be addressed so that it did not seem like the case of fake drugs which has killed and maimed so many Nigerians. She also urged the farmers and grain dealers to desist from using banned toxic agrochemical such as gammallin or over-dose or wrong application of approved pesticides for preserving beans and other grains. Sources from the agency revealed that there are also cases of killer beans in Plateau State, Minna and some other northern states. The source who preferred anonymity said some of the dealers were in a hurry to make quick sales. "Some chemicals are to stay for six months. But some of them won't wait for the six months before they start selling them out to people, she said. She disclosed that some of the effects include vomiting, nausea, weakness of the joints, discomfort in the stomach, which might eventually lead to death. She pointed out that there was no significant sign to identify an affected grain. Hi people, welcome to a beautiful new month. May all your dreams come true. Ok, I'm back again...needing your opinions. You guys will love this particular edition. So what do you guys think? Which cover should we go for? Pls pls pls, pick a cover and tell us why we should go for it...And if you have any other suggestion on how we can make the cover better, pls do share. 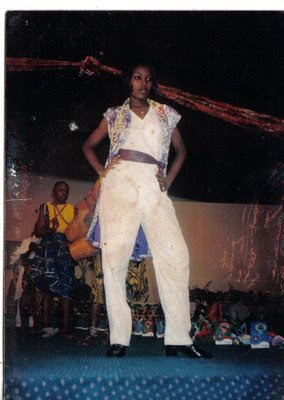 Exactly 10 years ago, June 1998, I made my foray into modeling. I was seventeen and fresh out of secondary school. My friend wanted us to leave but I decided to go through with the casting even though I was convinced I wasn't going to get picked. I just wanted to enjoy the scenery, the girls, the hotel and I wasn't leaving till I'd seen enough. There were over 300 girls, professionals at the time and they only needed 20 models. 17 year old Linda, 5'8', no modeling experience whatsover stood no chance...or so I thought. The casting director, Juliet Haggermann, was an American Choreographer, who didn't know who the top models were, so she didn't pick based on that. She would look at you, ask you to walk and either ask you to stay or leave. My friend went before me, and she wasn't picked. I remember giving her my bag, thinking I will be out the door as soon as I got in, so we can go home together. But I was wrong. Juliet took one look at me, asked me to walk and told me I was in. 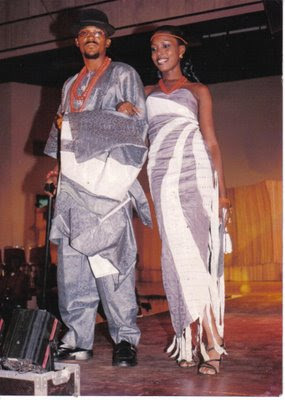 And this was my last fashion show in 2005. Red, Bold and Jazzy. I miss the runway so much. But hopefully when our Top Model Search starts, I will do runway again. I've decided to do photography again, so soon y'all will see me on billboards across Lagos. So that's it. Ten years as a model. It's been an incredible experience. I'm about to enter another phase..Watch out for this woman!